The Alfa Romeo Giulietta was a major departure from Alfa Romeo’s traditional style of motorcars. A small, lightweight and nimble car, it was a marked contrast to the large, fast, luxurious sports cars and sedans that had established Alfa’s reputation. First created as a special series, awarded as prizes in an Italian national lottery, the Giulietta Coupe amazed its lucky winners with its performance and handling. Alfa quickly recognized it had a winner on its hands and rushed the Giulietta into series production. Various models were produced including a sedan, a coupe (“Sprint”) and a convertible (“Spider”). Renowned for their almost magical responsiveness and brilliant performance, the Giuliettas have endeared themselves to generations of enthusiastic drivers as the most enchanting small sports car of that period. Powered by a free revving 1290 cc twin cam engine, the Sprint Coupe was admired for its willingness and tractability, helped in no small part by its light curb weight of just 780 kg. Our car has received a Concours, “nut and bolt” restoration to a complete and astonishing standard of workmanship and finish by its last owner, which took in total, nearly nine years to complete! Beautifully finished in classic Alfa Red with delightful and correct, two-tone Red and Grey upholstery. The car presents as it would when it was delivered new in 1962. A unique opportunity to acquire a fast appreciating, classic, Alfa Romeo Sprint for a fraction of the cost of finding a donor car and embarking on a new restoration project. Our post sale services will include a fresh service /new MOT and all safely related items completed by a marque specialist. 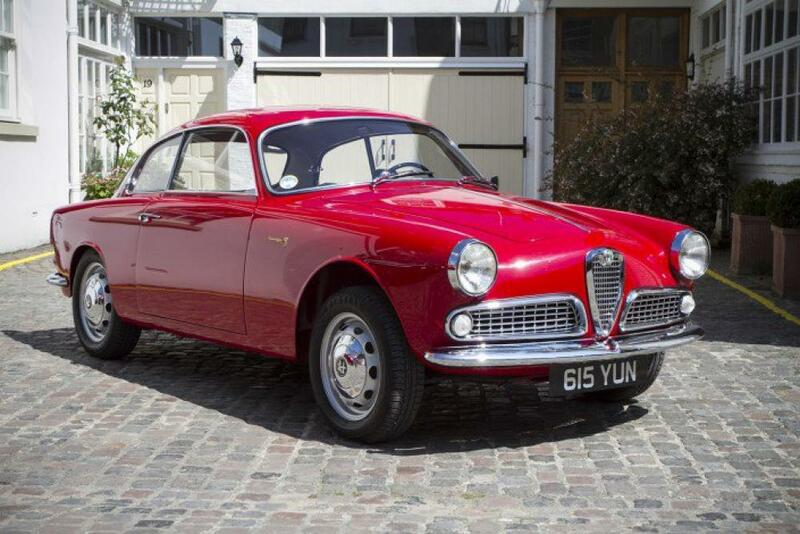 Offered for sale now and available for immediate inspection at our central London showroom, this unique Giulietta Sprint Coupe will bring a smile to the face of any die hard 60’s Alfa Romeo enthusiast.